How to configure or setting up notification on the dude network monitor - The Dude Mikrotik is a network monitoring tool that provided by mikrotik to facilitate the users, especially users of the microtik product to monitor their network devices. We can get a this network monitoring tool for free. Lots of features and networking tools available at this dude. Such as ping tool, bandwidth tester, remote connection, IP Scanner, snmpwalk, terminal tool, torch, traceroute tools, and other tools. 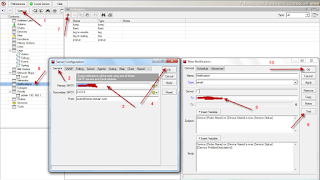 The dude mikrotik can be installed on a PC or on the mikrotik router. 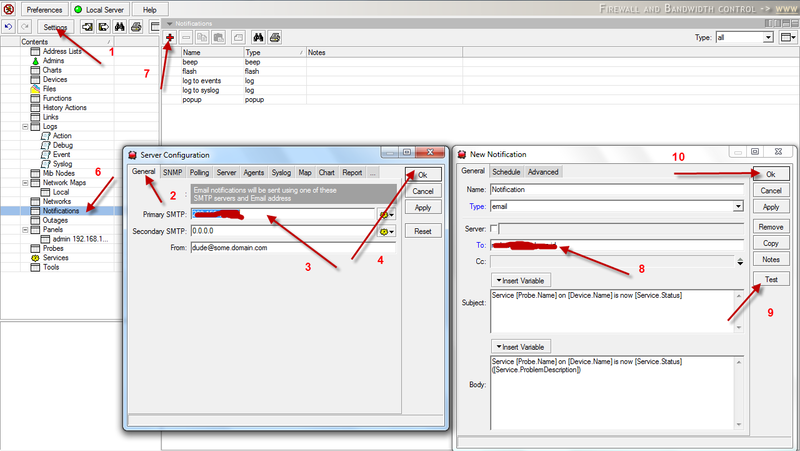 How to install dude mikrotik is very easy. Additionally, in the dude network monitor tool is also available tool notifications. such as email notification, beep, flash, log to events, log to syslog, and popups. You can use some of these notification according to your needs. And on this article, I want to discuss how to configure or setting up notification email on the dude network monitoring tool. 4. On Tab Polling, click edit list and appear notifications window. Click Add button on new notification window. Fill in the name (example = notification email), on the type choose email. Then, fill email address recipient on To and Click Apply. 5. And you can test it, by send email notification with clicking Test Button. Please read " How to solving problem sending email failed : invalid TO address at the dude mikrotik"
0 Response to "Email Notification on The Dude Network Monitoring Tool"